In its over 40 years of formal existence Biblical Counseling has continued to undergo significant alterations. Its fundamental core has remained the same since Jay Adams first launched the movement in the 1970s, but nuance and clarification in thought and practice have continued down to the present. Since Adam’s work the movement has expanded and diversity within its borders has bought new challenges. Tensions and conflicts within the community have been real, if not always observable. Some, however, have risen to help navigate those differences and encourage partnership. Dr. Robert Kellemen has been a bridge builder within the Biblical Counseling community, by striving to emphasize our common ground. When I was first introduced to Biblical Counseling as a young college student I was highly suspicious. Over time, however, I began to buy into the beautiful vision of what was then called Nouthetic Counseling. I began to see and believe the sufficiency of Scripture for all of life. As I entered into the practice of Biblical Counseling professionally I began to feel a strange frustration with the existing organizations. They were all uniquely insightful and helpful, and I found value in each community, but I often felt pressed to “choose sides.” Was I going to be an advocate of CCEF or of NANC? I couldn’t understand the division, nor why I should be forced to choose, and so I never did. The people I served didn’t care either. As I continued on into ministry I stumbled onto a fascinating new organization. The Biblical Counseling Coalition was bringing together a wide array of voices, scholars, counselors, and even convictions. I could look through the articles on their blog and see names like Paul David Tripp, Jim Newheiser, and Steve Viars. I could find advertisements for NANC events, or CCEF events, or regional workshops from various churches. It was as if this organization had dropped itself into the middle of a turf-war and declared neutral ground. At the helm of this organization was someone I had never heard of before: Dr. Robert Kellemen. Dr. Kellemen has been an exceptionally busy individual. 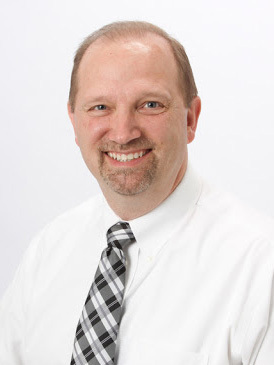 He serves as Vice President of Institutional Development and Chair of the Biblical Counseling and Discipleship Department at Crossroads Bible College. For seventeen years he was the founding Chairman of the Master of Arts in Christian Counseling and Discipleship (MACCD) Department at Capitol Bible Seminary. He has a Th.M. in Theology and Biblical Counseling from Grace Theological Seminary, and a Ph.D. in Counselor Education from Kent State University. As the founding Executive Director at BCC he sought to “foster collaborative relationships and to provide robust, relevant biblical resources” (“The Biblical Counseling Coalition MVP Statement“). That is no small task, but it is an important one. Diversity within the BC movement has led to increased disagreement over an array of issues: the appropriate use of psychological labels, the relationship of the body and an individual’s context to their spiritual and psychological issues, the usefulness of secular research, and the proper methods of counseling. Differences over these issues have created, by default, divisions within the community, and yet it doesn’t have to. Kellemen, along with many others, has sought to emphasize what Biblical Counselors of various stripes have in common. Bob has done this in his own writing, touching on the value of science and the influence of the body and context on an issues, but all without betraying his firm commitment to Scriptural sufficiency. He has done this by drawing together various contributors in the three Biblical Counseling works he co-edited (Christ-Centered Biblical Counseling; Scripture & Counseling; and Biblical Counseling and the Church). He has championed various organizations, spoken at various events, and endorsed numerous books (including Eric Johnson’s Foundations for Soul Care). In his leadership at BCC, for the five years he oversaw that ministry, he sought to cultivate a safe context for counselors to wrestle with one another, sharpen one another, and support one another. His has been a tremendous ministry. Biblical Counseling is really at the height of its existence as a movement. With more and more people coming into the “fold” it is a time for increased research, writing, and collaboration. I tell my students constantly that it is a great time to be involved in this field of study! But with increased attention comes increased external criticism and potentially increased internal conflict.We desperately need voices like Robert Kellemen’s to keep us on track. Our differences are not irrelevant, they are not unimportant, but they should not be weighed more significantly than our commonalities. We belong together even in our differences. I am deeply indebted to Dr. Kellemen. I often felt like I was doing counseling on an island by myself, not part of any community. Bob, through BCC, created a community that I could finally call “home.” He has been a significant “bridge builder” in my life.